Due to a technical issue with my web site Google is currently directing searches for “Better Known As Beaver Lake” (which is another site I maintain on a volunteer basis) to this blog. The proper link is www.betterknownasbeaverlake.org. The California Energy Commission is proposing changes to building codes that would require the installation of roof-top solar panels on all new buildings starting in 2020. 1) Roof-top solar installations are much more complex and expensive than utility scale solar installations. Far more time is spent getting set up, rigging safety harnesses and moving racks and solar panels up to the roof than is spent actually mounting the solar panels. Electrical connections are also significantly more expensive requiring inverters at each home. 2) Roof-top solar installations are far less effective than utility scale solar installations. The roof pitch and north-south orientation of a roof is never ideal in terms of collecting the most solar energy. Houses are often surrounded by trees, hills, or high buildings which further reduces the solar energy captured especially in the morning and late afternoon. Utility scale solar panels are usually mounted on racks which move to follow the path of the sun resulting in much greater capture of available solar energy. 3) When solar panels are installed on a house the local electrical utility has to upgrade the equipment in the neighbourhood in order to handle the bi-directional flow of electricity in a system that was designed to distribute electricity, not collect it. Because the residents with the solar panels are actually spending less for electricity (and often actually collect money from the utility for electricity generated by the solar panels) the cost of these upgrades must be born by people that have no ability to install solar panels: renters, those living in apartment buildings, and those on fixed or low incomes. 4) The average life of a roof in California is about 20 years. That means that the entire installation of solar panels will have to be removed and replaced as part of the roof replacement. Solar panels do lose efficiency over time so that it would probably make sense in most cases to simply redo the entire installation which will be even more expensive than the initial installation because of the need to remove and dispose of the old panels. 5) California already has a lot of solar energy developed to the point where the excess generation at mid-day is becoming a problem. The only solution to that problem, and therefore the only way to make effective use of further development of solar energy, is the implementation of large scale energy storage systems. Whether that energy storage is through the use of batteries, pumped hydro storage, molten salt, or some technology that has not yet been commercialized, storage at individual homes will be dramatically less efficient and more costly than centralized energy storage. There is an alternative that would provide far more benefit in terms of reducing energy demand for the entire life of a building and which would address climate change concerns far more effectively. That technology, already in widespread use, is termed geoexchange (implemented using geothermal heat pumps). Geoexchange uses the constant temperature of the ground at depth to provide both heating and cooling of a building using approximately half the energy required by traditional heating and air conditioning systems. 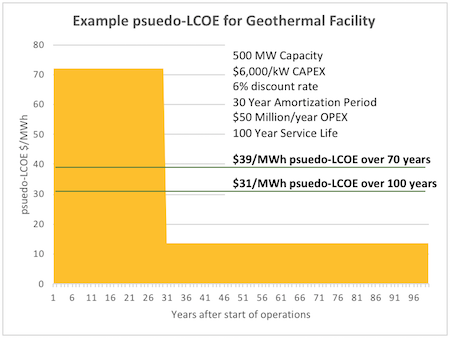 The cost of installing a geothermal heat pump would be a fraction of the cost of installing solar panels and geothermal heat pumps cut electricity demand in the late afternoon and evening – the peak demand times when California is still dependent upon fossil fuels and nuclear to provide power for lighting and air conditioning. In cooling mode geoexchange takes advantage of the fact that the earth at depths of 50ft is much cooler than the air temperature. In heating mode geoexchange takes advantage of the fact that the earth at depths of 50ft is much warmer than the air temperature. 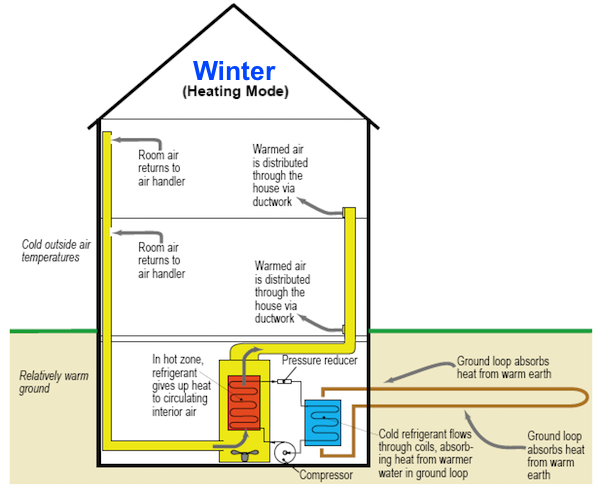 One of the most widespread ways to heat buildings is through the burning of natural gas in traditional furnaces. Natural gas is a fossil fuel and heating buildings using that energy source emits enormous amounts of carbon dioxide. Geoexchange, on the other hand, uses the earth as a heat source and heat sink to heat and cool buildings with no combustion of fossil fuels and no carbon dioxide emissions. Geoexchange systems are integrated internally within the building so they do not have to be touched when roofs are replaced or other renovations to a building take place. 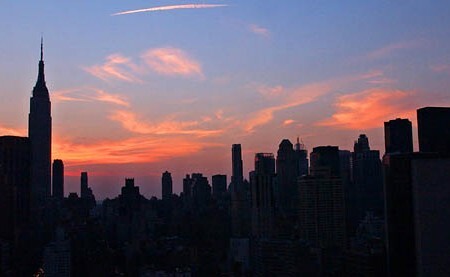 Reducing the energy requirements of a building using geoexchange, better insulation, and a host of other net-zero technologies is a much better approach than generating additional solar energy at mid-day which has to be stored or curtailed because there is no demand for it at the time it is generated. If California law-makers are serious about addressing climate change concerns, requiring geoexchange for all new buildings is the single most cost-effective measure they could ever introduce. The development of renewable energy sources is taking place in all regions of the world and now attracts well over $200 Billion in investment annually. The various available technologies compete for these investment dollars and are evaluated based upon a number of commonly used financial measures. Such evaluations are made more complex due to various financial incentives including capital grants, feed-in-tariffs, production tax credits, capital depreciation schemes and other financial factors, which vary greatly between jurisdictions. Two of the technologies that have the greatest potential to enable the transition to a sustainable energy environment invariably appear to be very expensive relative to wind and solar power and, as a result, have attracted very little investment. These are geothermal and hydro-kinetics. 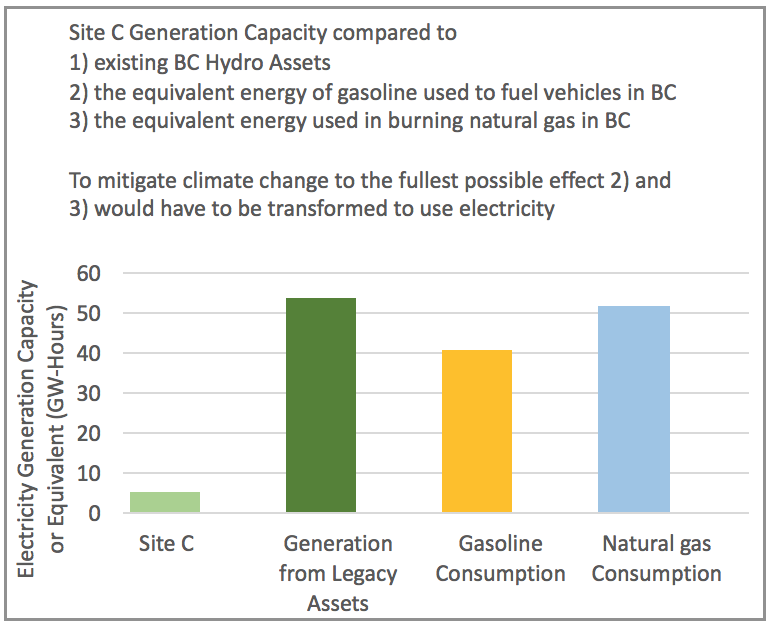 The financial measures used to make these comparisons were initially developed to evaluate the investment opportunities between various dispatchable generation technologies (hydro, coal-fired, natural gas-fired, and nuclear plants). These measures do not provide a reasonable basis for comparing the value of dispatchable vs. non-displatchable renewable energy sources. The NREL 2016 Annual Technology Baseline lists CAPEX for Wind Farms that range from $1,737/kW to $2,109/kW for TRG 1 to TRG 10 resource grades respectively. There is a very fundamental problem with references to CAPEX based upon the nameplate capacity of a wind development – a problem which many decision makers and almost all popular media reports fail to recognize. That problem is capacity factor. For example, a 200 MW wind farm that costs $400 Million to construct will have a reported CAPEX of $2,000/kW. But if that wind farm has a capacity factor of 50% it will generate, on average, only 100 MW. Therefore, the effective CAPEX is $4,000/kW. As a result, the capacity factor for a given development is a critical factor in determining the effective CAPEX for a wind farm. 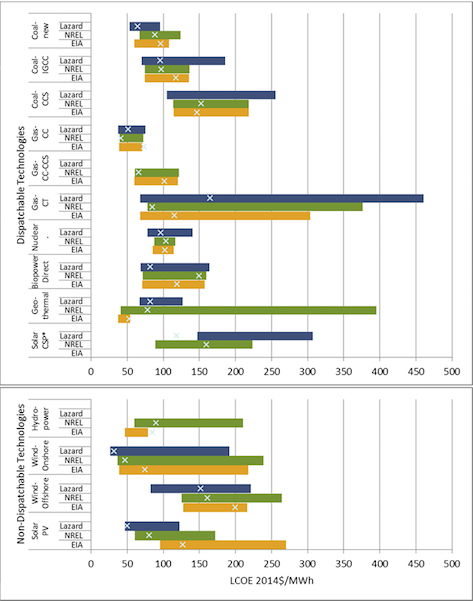 The table in the NREL report lists weighted average Capacity Factors of 51% for TRG1 to 12% for TRG 10 developments. But what is the most likely capacity factor that can be expected from a wind farm developed in an area with excellent wind resource? The average for the Texas fleet, as reported by ERCOT, is 36% and Texas has some of the best wind resources in the country. Based upon that capacity factor the 200 MW wind farm described above would generate, on average, only 72 MW and the effective CAPEX would be $5,555/kW. 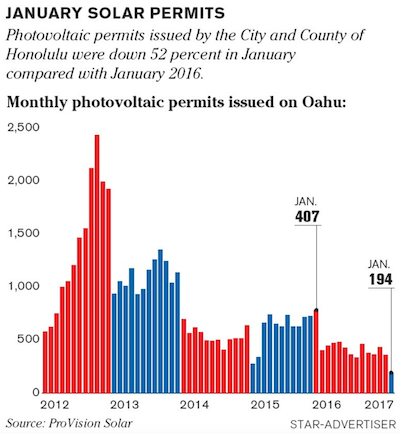 The situation with solar is far worse. The maximum capacity factors for utility scale solar developments, even in Southern regions of the country, are on the order of 28%. Solar capacity factors vary greatly based upon latitude, season, and local weather conditions. In Germany, with the second largest solar fleet in the world, the average annual capacity factor is 11%. 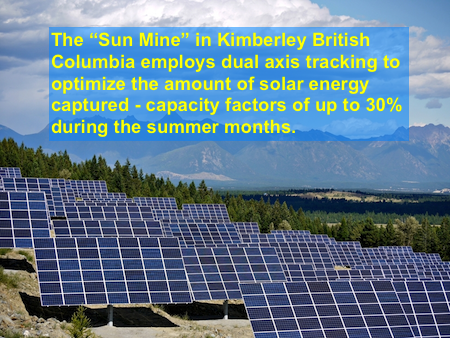 Assuming a CAPEX for utility solar developments of approximately $2000/kW (from the NREL ATB) the effective CAPEX for a solar development will range from $7,000/kW to $20,000/kW depending upon the capacity factor of the particular development. Geothermal capacity factors (again from the NREL ATB) range from 80-90% with CAPEX ranging from $4,000/kW to $6,000/kW. Taking into account the difference in capacity factors geothermal CAPEX values are as good or better than onshore wind or utility solar. In other words, it takes the same level of up-front investment (or less) to produce a kW of electricity from geothermal as it does from on shore wind or utility solar. There are no utility scale hydro-kinetics developments yet deployed but based upon numerous successful pilot projects it is estimated that the CAPEX for such projects would be 8,000-10,1000/kW with very high capacity factors. Taking into account capacity factors the CAPEX for geothermal and hydro-kinetics developments is comparable to that of wind and solar projects. Another commonly used comparative measure is the Levelized Cost of Electricity. There are so many issues with LCOE calculations that it is almost not worth discussing this measure. Unfortunately, LCOE values are used widely and indiscriminately so the problems with this measure need to be addressed. A graph of LCOE (again taken from the NREL ATB) demonstrates the uncertainty inherent in these calculations. The figures presented for geothermal are particularly disturbing, ranging from less than $50/MWh (EIA) to almost $400/MWh (NREL). Without undertaking a “deep dive” into the NREL figures it is likely that the extremely high value for LCOE for geothermal presented by NREL derives primarily from financing costs. 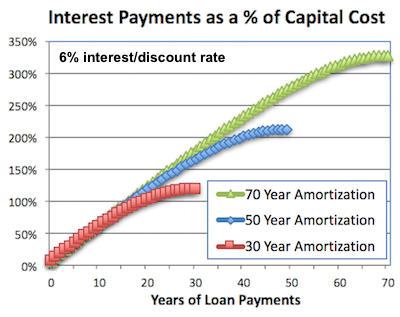 The financing costs for generation sources that have very long service lives are difficult to evaluate and depend to a large extent on a number of assumptions. This problem has been discussed at length with regards to hydro dam developments. 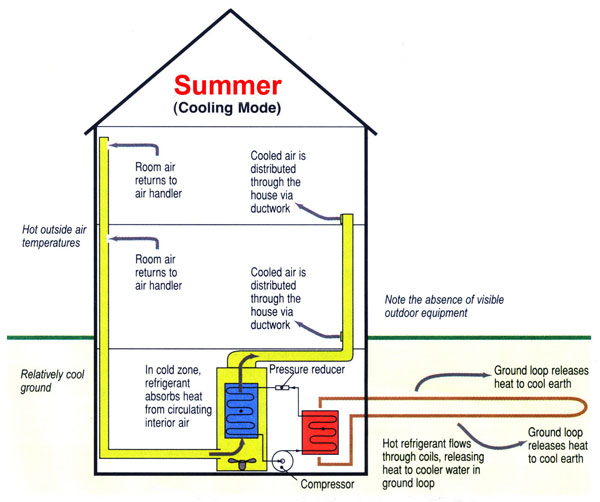 The general approach is to amortize the cost of an installation over the service life. This is reasonable for wind and solar developments that are projected to have service lives of 20-30 years. However, geothermal installations can operate effectively for an indefinite period of time. The facilities in Lardarello, Italy have been in operation for almost a century. The Geysers development in California has been generating electricity for a similar period of time. It would be more realistic to assume that the capital cost of a project was paid off using a “30 year bond” equivalent. This results in a step change LCOE consisting of a relatively high value while the debt for the facility is paid off after which there are only operating costs which are typically very low. The multi-generational LCOE using this approach is low and, to some extent, unknown as it will continue to decline as long as the facility operates. As an example, the graph below displays how LCOE changes after the capital costs have been paid off. Almost every comparison of costs from different generation sources completely ignores the value of electricity generated at times of peak demand. This demonstrates a fundamental lack of understanding about the mechanics of the electricity industry. The inability to dispatch wind and solar generation during those peak demand hours greatly diminishes the value of those assets to the utility. In fact, the utility will have to provide redundant generation assets in order to meet peak demand and, as a result, most utilities see wind and solar generation as a problem as much as an asset. In Germany, neighbouring countries including Norway, Sweden, and France provide redundancy, whether they like it or not (they don’t). In Texas, the rapid development of natural gas peakers has been used to provide redundancy for wind generation. The need to provide redundant generation is not addressed in comparisons of costs between dispatchable and non-dispatchable generation sources. Wind and solar are essentially given a “free ride” under the assumption that “some other generation source” will be available when wind and solar are not. For wind generation it might be reasonable to factor in the cost of energy storage to cover periods of calm. But what does the “100 year calm” look like? Certainly it would be multiple days, probably a week or two. The amount of energy storage required to cover that length of time without significant wind generation would be enormous and the cost to provide such energy storage would be many, many times the capital cost for the wind generation facility itself. To get some sense of the enormity of this problem read the blog post by Euan Mearns calculating the amount of storage needed to get through a period of calm winds in the U.K. in 2015. For solar in sub-tropical regions (south of about 35 degrees latitude) the problem is manageable because of the diurnal cycle of solar radiation and the fact that peak demand in this region typically occurs in the summer. Facilities such as the Solana Concentrated Solar Power plant in Arizona handle this by incorporating thermal energy storage. North of 35 degrees latitude solar cannot be backed up in any reasonable way. The capacity factors decline precipitously in the winter months, exactly at the time when electricity demand peaks because of increased heating and lighting requirements. This trend will only become more extreme if we de-carbonize the economy by reducing the use of natural gas for heating purposes. Even if batteries or other energy storage technologies advance by an order of magnitude there would simply not be enough solar radiation to simultaneously provide power during the day and recharge the energy system for use at night. Cost comparisons between dispatchable and non-dispatchable electricity generating sources are simply not useful. They are qualitatively different resources. 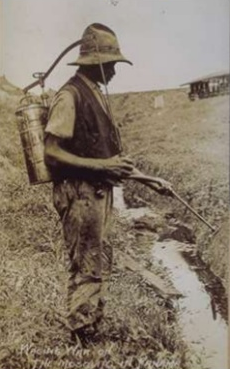 Such comparisons have been very detrimental to the development of geothermal energy which represents a reliable and renewable energy source. As anyone who has read some of my blog posts knows I do not believe that we should be basing our transition to a sustainable energy environment on the need to moderate climate change. I’m not convinced that eliminating the burning of hydro-carbons altogether would make a huge difference to what our planet is doing. But having worked in the oil & gas industry for more than 25 years and despite the current glut of oil on world markets there is one thing I am quite sure of. We will run out of hydro-carbons that can be economically extracted in less than 100 years – I might even see a significant shortfall of world production and as a result much higher prices within my lifetime. It would be reasonable to argue that predictions of “peak oil” have consistently been incorrect as higher prices and more sophisticated technologies have helped maintain production levels. But hydro-carbons, and crude oil in particular, are finite resources and they will eventually run out. As a result I have done some analysis of how much of a problem that could be and how quickly we need to address the problem. First things first. How much energy is the world currently using and what fuels are meeting energy demand? Trying to find accurate and consistent numbers on global energy consumption is much more difficult than it should be. I was struck more than once by the obvious bias towards inflating the impact of renewables and their role in meeting global energy demand. This is a phenomenom that I have identified in a previous post. One good source that provides an overview of global energy use is the U.S. Energy Information Agency. Figure 1-5 from the International Energy Outlook 2016 provides data from 1990 onwards with forecasts to 2040. The table below displays the data from this report for 2015, converted from Quadrillion BTU to TW-Hours. I always like to have multiple sources for information, especially when there are unit conversions involved. The following sources provide confirmation for the EIA report figures. Oil: Bloomberg quoted an International Energy Agency figure for demand in 2015 of about 94 million barrels/day (bpd) which translates into about 58,293 TW-Hours which is within 5% of the figure provided by EIA. BP pegged the average amount as 92 bpd which would amount to 57,066 TW-Hours, even closer to the EIA figure. Coal: Enerdata lists 2015 coal production as 7,800 Megatons which translates into 46,084 TW-Hours, very close to the EIA figure. Natural Gas: BP listed Natural Gas production as 3,500 Billion Cubic Meters in 2015 which translates into 36,606 TW-hours. This figure is also close to that presented by EIA. Combining these figures yields a figure of 139,742 TW-Hours for hydro-carbons compared to the EIA figure of 140,387. Nuclear: Multiple sources including the World Nuclear Association and the Shift Project list global nuclear power production at about 2,400 TW-Hours rather than the 7,689 TW-Hours presented by the EIA. The EIA report itself presents 2,300 TW-Hours as the proper figure for nuclear generation for 2012 in Figure 1-7. The source of the discrepancy is the difference between “Total Primary Energy Supply” and “Total Final Consumption”. “Total Final Consumption” discounts the energy used in generation, distribution, and conversion before reaching its final end user. Because hydro, wind, solar, and biomass all deliver electricity or heat to end users these sources are not impacted. Fossil fuel energy sources and nuclear are very significantly impacted. For example, in burning coal or consuming uranium fuel in a nuclear reactor to generate electricity more than 60% of the energy content of the fuel is lost as heat and through the limitations of thermodynamic engines. Therefore 7,689 TW-hours of uranium derived energy are consumed in nuclear plants to deliver 2,400 TW-hours of electricity to consumers. Renewables: This is the category which has the most confusing and difficult to confirm backup data. The best source of information regarding the complexities involved with renewables is the Ren21 network. The Global Status Report published by the group in 2016 and weighing in at 272 pages, is a great reference document although it also confuses matters a bit. The confusion comes because this report uses percentages of Total Final Consumption rather than actual consumption. Using a global Total Final Consumption figure of 102,000 TW-Hours for 2015 (implied by the percentages for hydro and nuclear and roughly confirmed by the figure of 9,300 Mtoe on page 28 of the IEA Key World Energy Statistics) figure 1 of the Global Status Report can be reworked to present actual consumption rather than percentages, as shown below. The aggregate figure of 19,692 matches the figure presented for renewables in the IEA report (20,548) quite closely. From the REN21 report almost half of this “renewable” energy is in the form of “Traditional Biomass” which represents the “use of fuelwood, animal dung, and agricultural residuals in simple stoves with very low combustion efficiency” (Note 12, page 201), primarily in undeveloped regions. Although this energy source is technically renewable it is certainly not one that we would want to increase or even maintain decades into the future. In fact the REN21 report points out that as the economic circumstances of a population improves these “Traditional Biomass” energy sources are replaced by the burning of hydro-carbons. The largest category under “Modern Renewables” is “Biomass, Geothermal, Solar Heat” a large portion of which is produced in Combined Heat and Power (CHP) installations such as those common in Denmark. The economics of CHP plants are being under-mined by subsidized wind and solar power in many jurisdictions and as a result growth in this energy source will be severely constrained in the future. The second largest category under “Modern Renewables” is hydro. Hydro has many very positive attributes including very low generation costs over many decades. It is a fact that almost all of the large installations developed in the last 100+ years continue to operate efficiently and reliably today. However, increasing environmental scrutiny and few remaining sites with significant potential will severely limit hydro growth in the developed world. There is significant potential in the developing economies but any new hydro power sources in those countries will be used to serve increasing domestic demand. So in the end the job of replacing fossil fuels will come down to wind and solar (and hydro-kinetics and geothermal if they ever get the support they deserve). The hype around wind and solar is amazing and very deceptive. 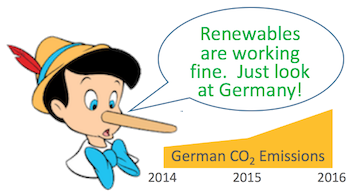 It was extremely difficult to find reliable figures regarding actual generation from these sources although there was no problem finding hyperbolic statements about additions to wind and solar capacity. But commonsense tells us that because a solar panel can deliver 1 KW of energy between noon and 1 pm that does not mean that it can produce 1 KW of energy 24 hours a day, 365 days a year. Germany, with the second largest build-out of solar power in the world reports that solar generation over the course of a year is about 11% of installed capacity. 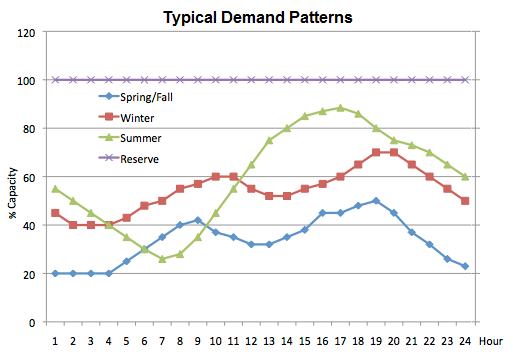 Worse still, generation in the peak demand periods during the winter is almost zero. Things are not much better with wind – maybe worse. Although wind generation continues to grow, availability of wind at peak demand times is unpredictable and inconsistent. On a cold, calm night in Northern latitudes (where more than 50% of the world’s population live) we will continue to be 100% reliant on fossil fuels until cheap and reliable energy storage solutions are developed. But let’s assume that energy storage solutions can be developed sometime in the next few decades. How much wind and solar generation will be needed and how much will the development of those sources cost? From the figure above wind and solar currently represent about 1.4% of the “Total Final Consumption” or about 1% of the “Total Primary Energy Supply”. 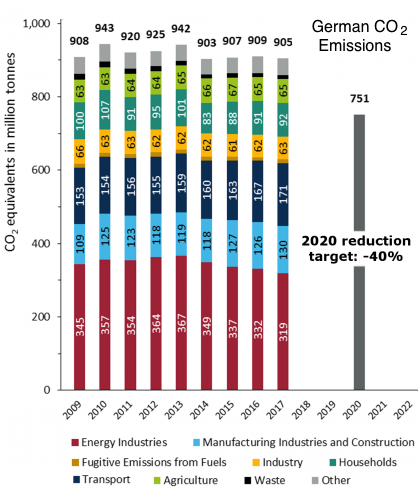 According to REN21 the contribution of Fossil Fuels towards the “Final Total Consumption” is over 78%. A transition to 100% renewables will inevitably involve significant transmission and energy storage losses but for the moment lets ignore those. Therefore in the best case scenario wind and solar will have to increase by a factor of 78/1.4 = 55.7. 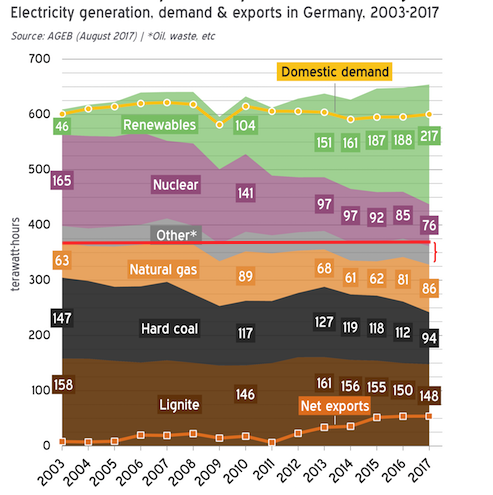 The development of wind and solar generation has been taking place aggressively since about 2004 when Germany started providing significant financial support for its Energiewende. Since then the world has invested more than $US 2.4 trillion in the development of renewables. While it is true that the cost of renewable generation has decreased significantly during that time I would argue that the need to provide energy storage solutions and vastly upgraded transmission systems will more than make up for those savings. There will also be difficult challenges around replacing transportation fuels and finding new source materials for plastics and the many other products based upon petroleum feedstocks. As a result the probable cost for the energy transition in constant 2017 dollars will be on the order of 2.4 * 55.7 = $US 134 Trillion. I think it will actually be much higher than that. That scale of investment would require that the world triple its current level of investment in renewables and maintain that higher level of investment for the next 100 years. The next question is, do we have a hundred years to make this transition? I don’t think so. Peak oil is coming. That is inevitable. The date that peak oil will happen is the subject of heated debate. Some argue that oil production will start declining within a decade, others that production declines will not begin for many decades. Many major oil producing countries are already well past “peak oil” production. Personally, I believe that a growing resistance to “fracking”, the rapid decline rates of tight reservoirs, and increasing demands for oil in developing economies will result in a permanent shortfall in oil production vs. demand by the middle of the century. In a very thoughtful and I believe accurate article Robert Rapier postulates that peak oil is dependent upon price to a large extent. Higher prices allow the use of more expensive exploration and production techniques which bring to market supplies that were previously uneconomic. 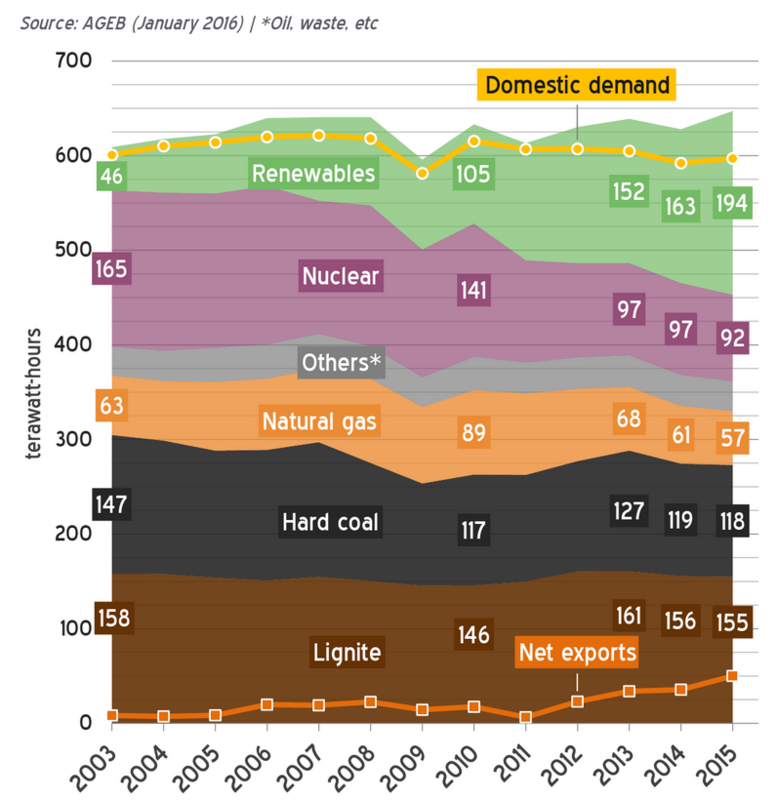 A graph from a 2008 publication serves to illustrate how unconventional sources may begin to play an important role in future years. However, there will come a time when the input costs required to bring new production on stream exceed the value of that production. After that point in time oil production will decline monotonically. In the decades leading up to that milestone event it will become more and more expensive to find and develop oil and gas resources which will lead to higher prices for fossil fuels. That reality will provide more incentive to develop renewables but it will also consume more and more of the world’s GDP to keep the hydro-carbon based economy functioning. So at a time when the world will need to spend ever increasing amounts to develop renewables and potentially on climate change mitigation measures rising energy costs will become a serious problem. 1) Investment in the development of renewables must ramp up to approximately triple what it was in 2016 and stay at that level for the next 100 years. 2) One or more very inexpensive and reliable (for decades) energy storage systems must be invented and deployed at a scale completely unimaginable today. To get an idea of how challenging that may be I invite you to read Euan Mearn’s analysis of the storage requirements to backstop wind in the U.K.
3) Peak Oil must occur after a significant percentage of the needed renewable generation is in place. It has taken 15-20 years to get to 1.5% of “Total Final Consumption”. 4) Global “Total Final Consumption” cannot increase or at worst must increase very slowly so that additions in renewable generation can displace fossil fuels. Inevitable increases in the energy consumption in developing economies must be offset by reductions in the energy consumption of developed economies. Sounds tough, doesn’t it? But who among us doesn’t like a challenge? And it could be worse. 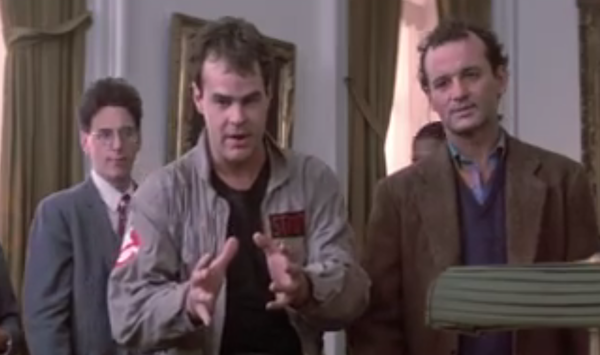 Consider the scenario described in this clip from Ghostbusters! I think I will sign on to be one of Elon Musk’s first Martian colonists. 1Of course some would argue that wind turbines and utility scale solar have negative environmental impacts but those are not severe compared to the environmental advantages of transitioning away from a hydro-carbon based economy. From the table above the clear winner is hydro-kinetics which captures the energy of water flowing in a river without using a large reservoir. And yet this is the least developed renewable source on the planet. I would suggest that this ideal energy source faces challenges which are not technical but rather are political and regulatory. This posting will discuss the state of hydro-kinetic developments and suggest a path forward towards wide-spread deployment (this post focuses on river hydro-kinetics technologies deployed successfully in North America – there are other projects underway overseas but these face many of the same issues discussed here). A number of companies have spent the last two decades attempting to commercialize hydro-kinetic turbines in one form or another. These companies have consumed, in aggregate, well over $100 million in Research & Development funding, have overcome many technical challenges and have staged numerous successful trial installations. However, despite the best efforts of talented and dedicated teams none of these companies have achieved a commercial deployment of a single hydro-kinetic turbine. 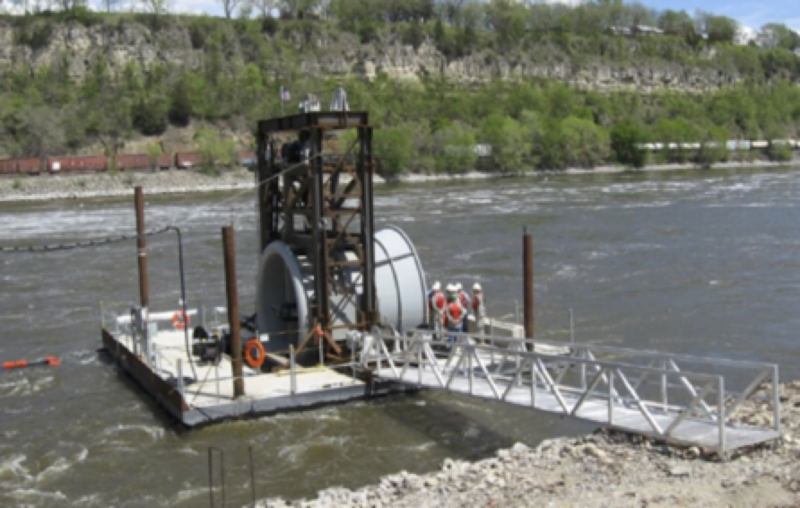 Free Flow Power developed a 40 KW turbine unit which was deployed in a test configuration in the Mississippi River near Baton Rouge for six months in 2011. The results of the tests were encouraging and the company undertook detailed site evaluations and identified more than 3 dozen locations on the Mississippi where turbines could be installed. A serious drought and low water levels in 2012 called into question the viability of many of the sites and the company decided to focus on retrofitting conventional turbines in existing dams that did not already have electrical generation facilities. In late 2014 the company was split into a non-operating entity holding the Intellectual Property rights for the SmarTurbine and a new company, Rye Development was formed to pursue the dam retrofitting. Hydro Green developed a 100 KW hydro-kinetic turbine unit which was deployed near Hastings Minnesota in 2009 in what is claimed to be the first licensed hydro-kinetic generating facility in the U.S. This turbine operated until 2012 when Hydro Green Energy, like Free Flow Power, decided to focus on dam retrofit. Clean Current was a Hydro-kinetic company that developed several versions of turbines for use in both saltwater and freshwater environments. They conducted several tests of the technology, most recently at the Canadian Hydrokinetic Test Centre on the Winnipeg River in Manitoba from September, 2013 to May, 2014. At the end of May, 2015 it was announced that the company was being wound down after 15 years of Research & Development work. 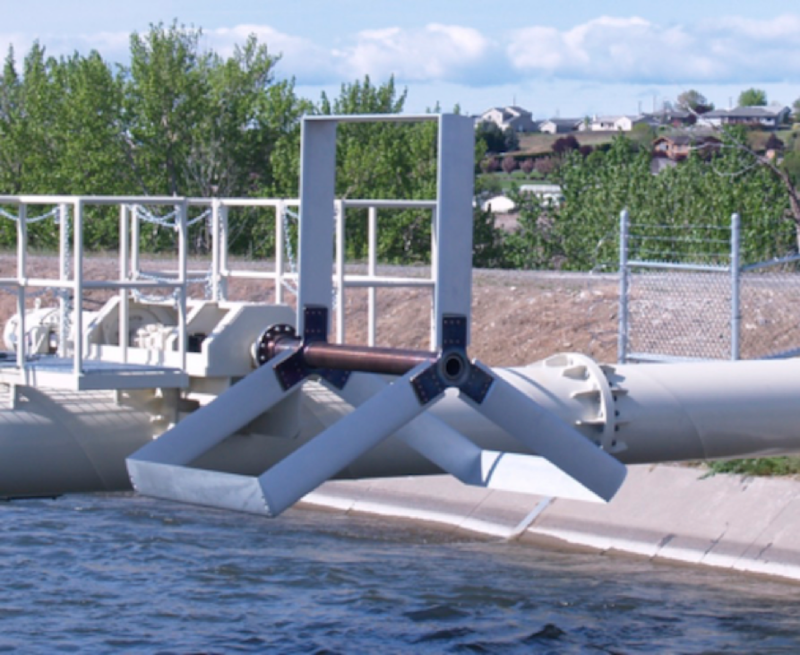 With substantial funding from the Quebec Government RER Hydro developed a technologically advanced hydro-kinetic turbine unit which was deployed in the St. Lawrence River near the city of Montreal in 2010. It functioned as designed for more than 4 years. Based upon the success of this initial test the Boeing Corporation entered into a global marketing and distribution agreement for the TREK turbines in November, 2013. 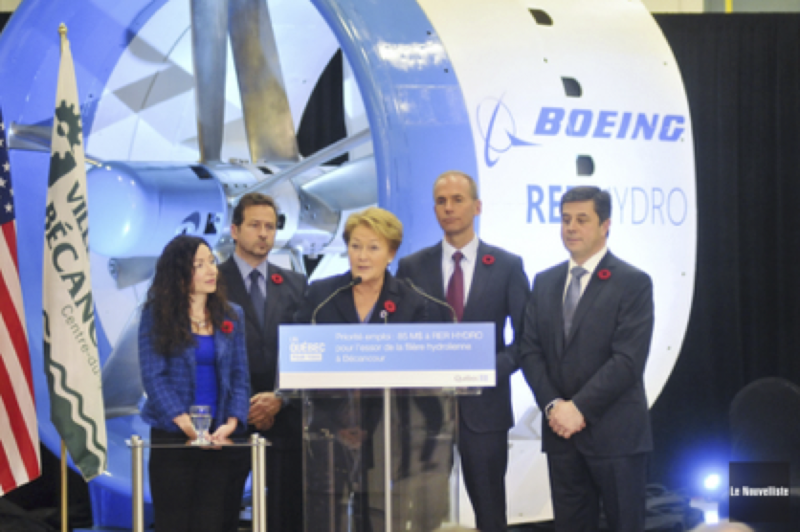 Phase II of the RER Hydro business plan involved the production of 6 additional turbine units in a brand new manufacturing facility in Becancour Québec opened to great fanfare November 11, 2013. On April 7, 2014 the Parti Québecois lost the Provincial election. 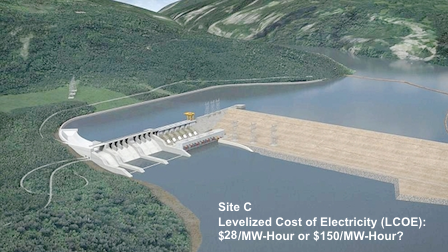 The new Liberal majority government immediately halted payments to RER Hydro that had previously been confirmed. With turbine construction for Phase II well underway and purchase agreements being in place with suppliers RER Hydro was immediately short of funds. Shortly thereafter the company made a court application for the Issuance of an Initial Order under the Companies’ Creditors Arrangement Act which was granted. All RER Hydro staff were laid off in July, 2014 and after several further court applications what remains of RER Hydro is the Intellectual Property, some inventory related to the turbines being constructed and the contracts with the Boeing Corporation. The company was declared bankrupt at the end of 2015. 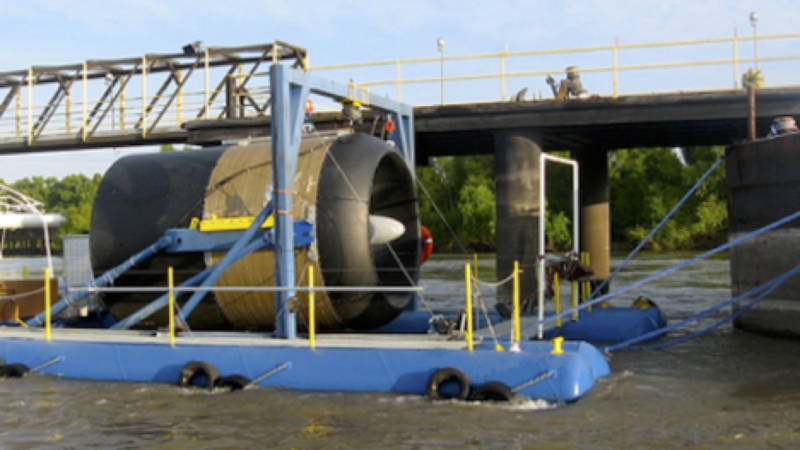 Verdant has been working on tidal power turbines in the New York City area for more than 15 years. 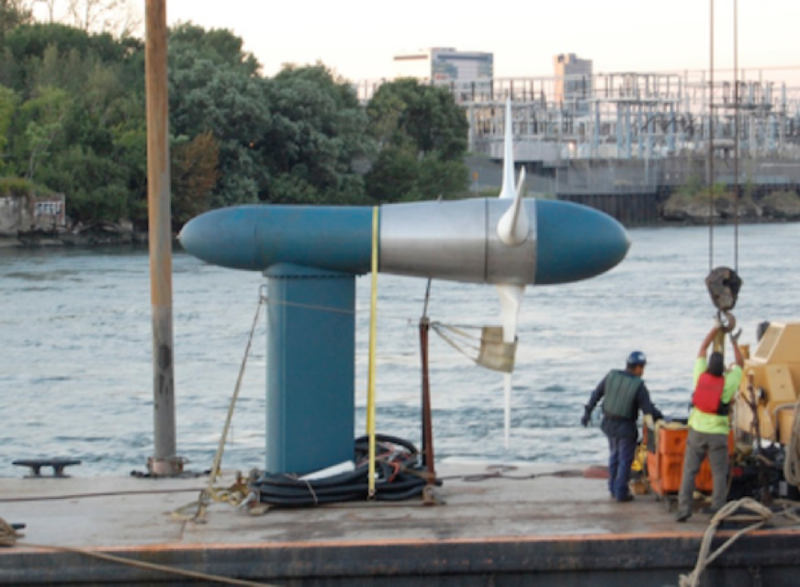 From 2006-2009 KHPS (Gen4) turbines were installed in the East River in a grid-connected configuration as part of the Roosevelt Island Tidal Energy (RITE) project. In 2012 Verdant was awarded the first commercial license for tidal power issued in the U.S. There is no indication that any turbines have been deployed or power generated in regards to this license. Turbines developed by Verdant Power have been proposed to be installed as part of the Cornwall Ontario River Energy (CORE) project with $4.5 million in funding from various government agencies and utilities. The project has been ongoing since 2007 but it appears that in 2013 the project was abandoned. In the spring of 2016 Verdant announced the formation of a partnership that will focus on hydro-kinetic projects in Ireland. Instream was formed in Vancouver in 2008. In 2010 the company, in partnership with Powertech Labs, deployed an array of 4 25 KW turbines near the Duncan Dam in British Columbia, Canada. In August, 2013 a second demonstration site was established near Yakima, Washington State, U.S. As of August, 2016 the company has plans for 2 more demonstration sites in the U.S. and anticipates a project in Wales, U.K. in 2019. It seems clear from the number of successful demonstration projects that have been undertaken over the past decade that the engineering problem of manufacturing a hydro-kinetic turbine that can reliably generate electricity has been largely solved. It also seems clear that by combining the engineering expertise and learnings from several of the existing designs any residual problems can be resolved quickly and new designs that minimize fabrication costs could be developed. The barriers to the implementation of hydro-kinetics are no longer technical. Hydro-kinetics generation, like large-scale hydro and geothermal is qualitatively different from wind and solar power because it is reliable and dispatchable. As a result, a backup power source (natural gas-fired plants being the most popular alternative in the current low gas price environment) is not required. This is a very significant advantage which is not reflected in the various economic analyses that are used to justify regulatory and financial support for renewable energy. In order to fully transition away from a hydro-carbon based economy it is necessary to have access to reliable electricity generation at times of peak demand. In the middle and northern latitudes (north of about 35 degrees) peak demand occurs in the late afternoon and evening as the requirements for light and heat reach their maximum. Obviously there is no solar power available at that time. Wind energy is highly variable and generally speaking cannot be relied upon to generate electricity during a specific time period. The most valuable measure of the contribution of wind generation would be the amount of wind available during peak demand times. Very few organizations are willing to investigate that important metric because it would be hugely detrimental to the case for subsidizing wind energy. The report states that the MISO practice of counting 13.3% of wind as reliable is much too high. They recommend instead that a value of 2.7% would be more appropriate (page 16 of the report). If anyone was inclined to make a truly fair comparison of generation costs for wind and solar there would have to be a very large additional cost to maintain a reliable backup generation source for when wind and solar were not available. This would probably come close to doubling the true cost of wind and solar generation. Hydro-kinetics sources do not suffer from this problem. They are reliable and predictable and can scale up to any degree without causing problems on the grid. No backup generation sources are required. Hydro-kinetics generated electricity is much more expensive per kw-hour of nameplate capacity than wind and solar – probably on the order of $8-10/kw of capacity. 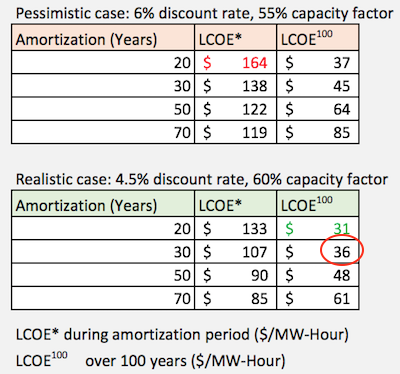 But when reasonable capacity factors for wind and solar are considered (30% and 15% to be on the generous side) then the costs are not significantly different. But the very important advantage of hydro-kinetics is that it is reliable during times of peak demand. As long as a KW-hour of electricity is judged to be of equal value no matter the source then wind and solar PV appear to be much lower in cost than hydro-kinetics. The barrier to wide-spread implementation of hydro-kinetic generation is not technical. The primary barrier is the perception, widely held amongst renewable energy advocates, government officials, politicians, and funding agencies, that wind and solar PV are the best options to fight climate change. Utilities, that have a deeper understanding of generation issues and understand the problems associated with wind and solar PV generation, are not actively engaged in the debate. This is because they largely see renewable generation as a nuisance that they have to deal with, like environmental regulations. They continue to build out new natural gas fired plants and even a few nuclear plants to provide reliable generation. They also are learning to manage rapid cycling of their plants in response to fluctuations in renewable generation. Utilities do not own the majority of wind and solar farms and of course have no financial interest in distributed sources such as roof-top solar. Finally, because they are either publicly owned, or earn an agreed upon return regulated by Public Utility Commissions, utilities are not particularly concerned about any additional costs associated with unreliable and unpredictable wind and solar PV generation. Whatever costs they have to incur, including maintaining a duplicate fleet of generation assets that can be available when wind and solar are not, will ultimately be born by the rate-payers, not the utilities. Consequently, utilities are not advocating for sensible options like hydro-kinetics. The other perception, which is unfortunately firmly grounded in reality, is that hydro-kinetic generation has not been proven to be a really viable option at this time. All of the hydro-kinetic companies discussed in this post are relatively tiny, privately held firms that are generally under-staffed and under-capitalized. That statement is not meant as a criticism – these firms have achieved remarkable engineering accomplishments and have overcome very difficult technical challenges. But it would not be much of an exaggeration to say that all of these companies are about one failed grant application or unsuccessful project away from bankruptcy. Several have already succumbed. This situation lacks “critical mass” in every dimension – economic, political, regulatory. The only way to overturn the perception that wind and solar PV are better options than hydro-kinetics is through a very significant lobbying and public relations effort focused not only on national politicians in the U.S. and Canada, but also on regulatory agencies and utilities. Hydro-kinetics is a superior option. No exaggeration is needed to make the case. But the case does need to be made. Regulatory agencies and even utilities need to be strong advocates. Politicians need to believe that additional support in the form of production tax credits or feed-in-tariffs as well as increased R&D funding are justifiable based upon the superior value of hydro-kinetics as compared to wind and solar PV. At the moment a number of small companies are advocating different approaches and technologies using staff resources that have limited time and money to tell their stories. Decision makers are faced with trying to choose a “winner” which leads to no decision at all in many cases. A partnership of these firms could fund a professional and credible full-time lobbying effort. As unsavory as that might seem to leaders focused on the development of hydro-kinetic technology the reality is that wind and solar PV already have entrenched and vocal proponents at all levels of government. A partnership of these firms could also fund resources dedicated to interfacing with various regulators to understand their concerns and educate them with regards to hydro-kinetic technology. Rye Development and Hydro Green Energy have extensive experience with the complexities of licensing facilities on the Mississippi, which has to be one of the primary targets for hydro-kinetic development. Instream Energy, as well as former staff members from Clean Current and RER Hydro, have knowledge and contacts within the Canadian regulatory establishment. The Fraser and St. Lawrence rivers also have great potential for hydro-kinetic development. 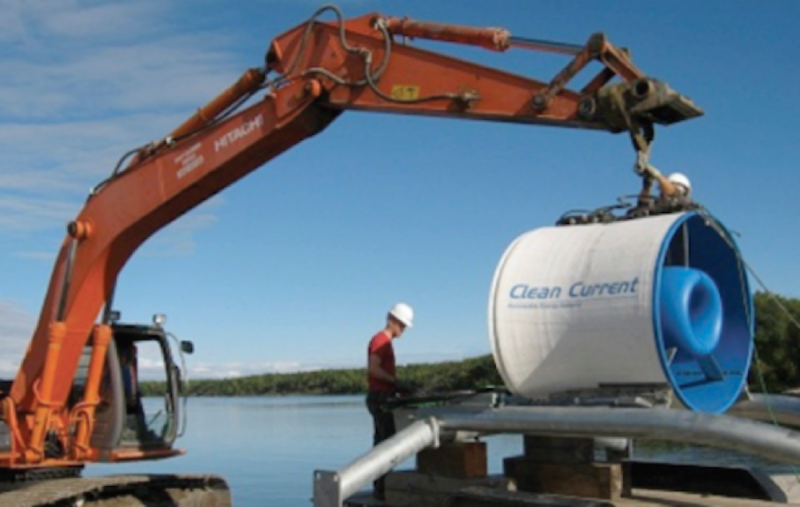 Verdant Energy has had success with regulators with regards to tidal energy development. The pooled expertise of these firms with respect to regulatory and environmental matters would represent a very significant resource to aid in the advocacy of hydro-kinetics in North America. Would a partnership of hydro-kinetic firms require that some technologies be abandoned? Only if it made sense. It is likely that collaboration on engineering issues under mutual non-disclosures would be beneficial to all parties, each of which would retain the Intellectual Property for their particular implementations. Rationalization of the supply chain for major components and consolidation of some fabrication would reduce costs by increasing volumes even if the final products were quite different. Centralization of some non-core administrative functions such as web site maintenance, legal services, and grant application preparation could be explored in order to reduce costs. The “outside world” would benefit from having a single communications channel and a single core message representing hydro-kinetics. The various technologies being offered by partner companies would be presented as options to address a particular opportunity. It would be possible to have competing solutions proposed for a particular project in some circumstances but that would not be ideal. It should be kept in mind that the real competition is wind and solar PV, not other hydro-kinetic technologies. It would be preferable for the partnership to advocate one technology for a particular opportunity based upon the geographic location and availability of support staff and resources. The possibility of supplementing staff at one organization with knowledgeable and experienced staff from one of the other partners would enhance the credibility of a response to any particular opportunity. Hydro-kinetics should be one of the most important foundations for a transition to a sustainable energy environment; more environmentally benign than large scale hydro, more reliable than wind or solar PV, and vastly scalable with every large river offering development potential. Given the amount of investment and engineering effort that has been undertaken to date without attaining commercialization it seems clear that the current decentralized approach is not very effective. A hydro-kinetics partnership would allow the technology to attain critical mass without compromising the technical achievements that have been made or will be made in the future by partner companies.